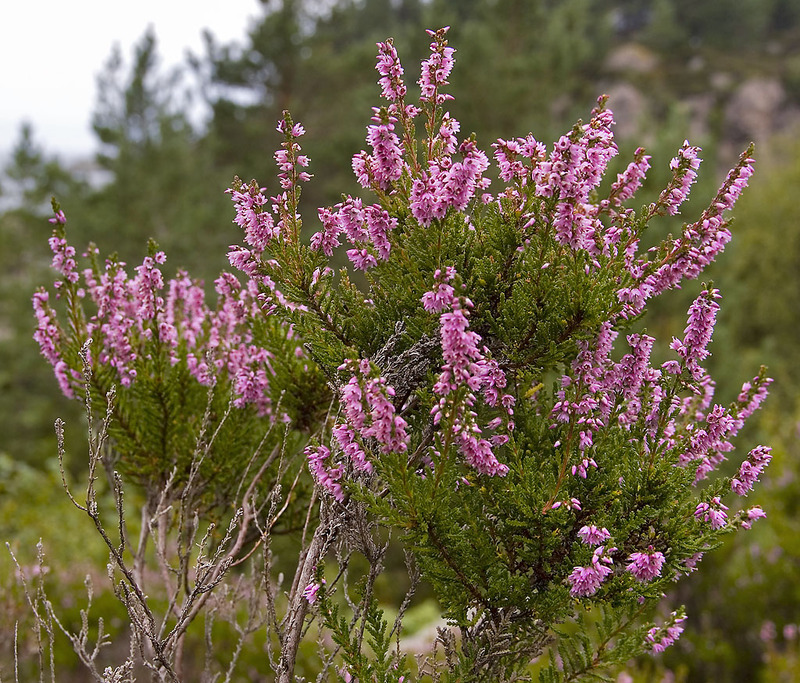 Heather (Calluna vulgaris) grows widely across Scotland. Its purple flowers are mentioned in many Scottish poems and songs. The tips of the bush are eaten by grazing animals and bunches of flowering heather are often gathered for decorations. In the past, heather was also used to bitter Scottish beers.